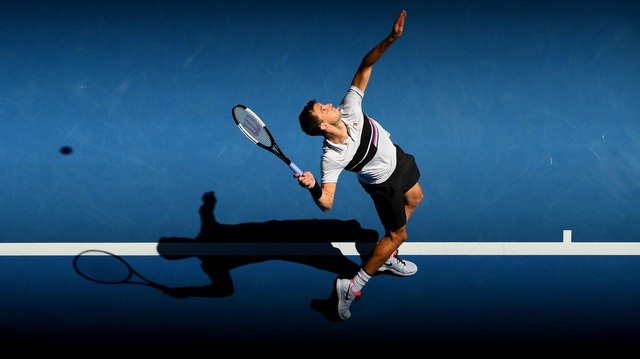 "The American prospect, Tiafoe, is rather in the Tsitsipas envelope in that their stats aren't perhaps quite as impressive as their ranking rise - he's running at just 99.6% combined serve/return points won on hard court across the last 12 months - and I make Ferrer a slight [1.76] favourite to take this." Last night, we went 3-1 for the tournament with another underdog victory, and the second consecutive winning recommendation for Felix Auger-Aliassime. Similar to Miomir Kecmanovic at Indian Wells a fortnight ago, often if a player is value and they win, they'll continue to be value in subsequent rounds too - there is a propensity for the market to to under-rate them. The opposite, with over-rated players, is also true as well. Auger-Aliassime has a winnable round four encounter with Nikoloz Basilashvili on Tuesday. As is often the case as big tournaments progress, there's a number of heavy favourites on the schedule, and Roger Federer is the shortest, at [1.21] to get past Filip Krajinovic. David Goffin, Daniil Medvedev and Stefanos Tsitsipas are all slightly bigger, at around the [1.30] mark for their matches as well. The latter player, Tsitsipas, looks short at [1.30] against Leonardo Mayer. I'm still not convinced Tsitsipas is a top ten player, having won a ton of tight sets and matches, although he's quite surprisingly got a reasonably decent record at covering game handicaps on hard or indoor hard when priced at similar levels across the last year. This puts me off doing similar with Mayer today, and I also think that the market drift on Grigor Dimitrov is absolutely correct, for his clash with Jordan Thompson. Currently, Dimitrov is trading at [1.48], but I make the Bulgarian [1.63] for this, so there's still some further potential price movement for the former top 10 player, who won his first competitive match for two months on Saturday against Feliciano Lopez. Thompson generally seems quite under-rated by the markets and it wouldn't surprise me at all if he caused a shock against the rusty Dimitrov (pictured below) this afternoon in the early match. 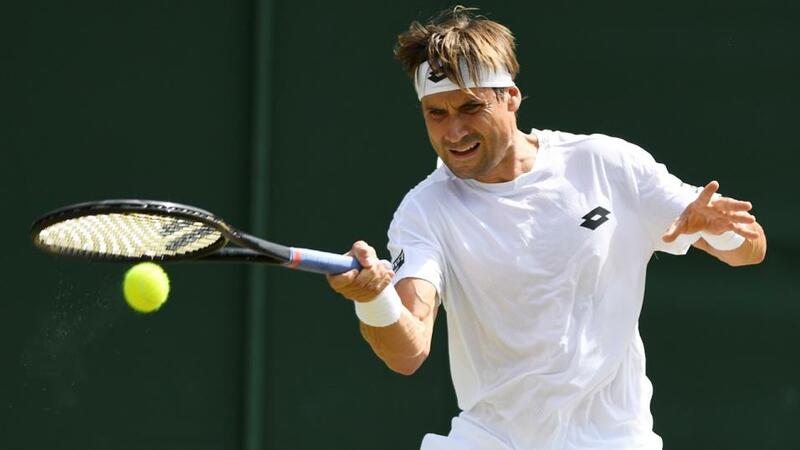 However, the player that I want to look at as recommended value today is David Ferrer. While I don't really have favourite players, tending to treat players more as a commodity, the Spaniard probably would be close to the top for me. Very rarely can you say that when you back a player, you know they won't leave anything on court, but you can with Ferrer - the veteran treats every match like a Grand Slam final. After a surprise win over Alexander Zverev last time out, Ferrer is priced at [1.94] in what the market perceives as a 'pick-em' match against Frances Tiafoe in the late night match this evening. The American prospect, Tiafoe, is rather in the Tsitsipas envelope in that their stats aren't perhaps quite as impressive as his ranking rise - he's running at just 99.6% combined serve/return points won on hard court across the last 12 months - and I make Ferrer a slight [1.76] favourite to take this. In other matches, Denis Shapovalov looks a touch short at [1.62] against Andrey Rublev in a clash of young prospects, but the discrepancy between market and model isn't particularly noteworthy, while if Kevin Anderson is in reasonable shape, the [1.56] about the South African veteran looks decent against Joao Sousa. Anderson pulled out of Indian Wells and prior to his opening round three-set win against Jaume Munar, hadn't played since mid-January, when he lost to Tiafoe in the Australian Open. It's understandable that the market is a little cautious about Anderson, but I do expect him to get the victory here.